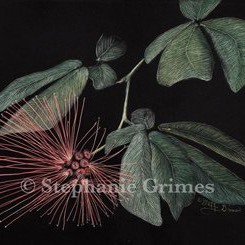 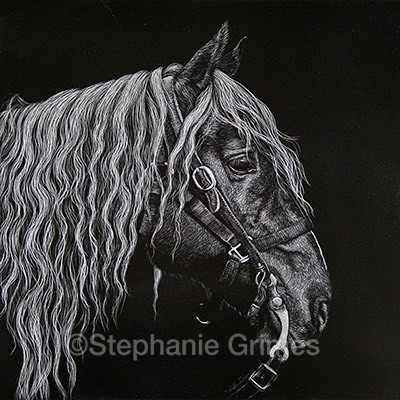 If you are not familiar with scratchboard, you are not alone. 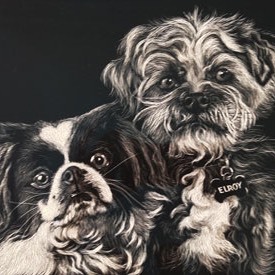 Scratchboard is still not well known in the art world, but it has been making quite a stir as more artists and collectors discover it. 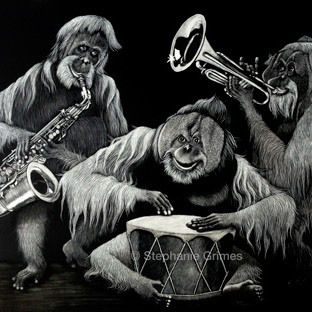 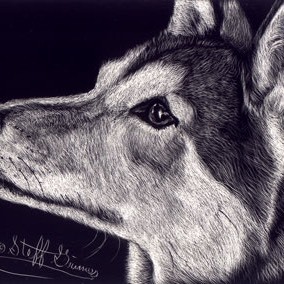 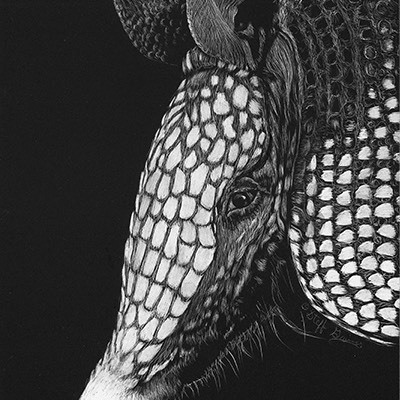 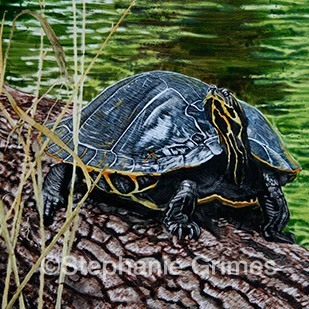 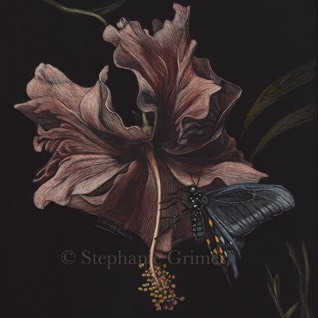 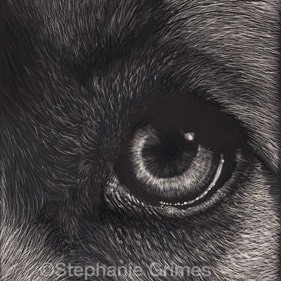 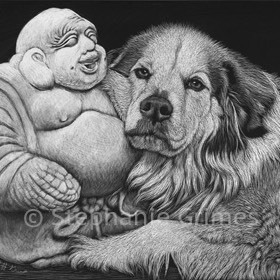 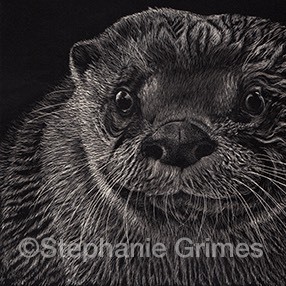 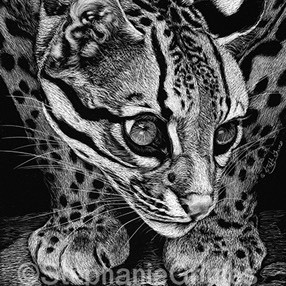 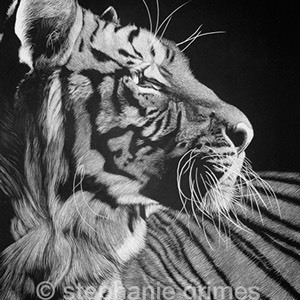 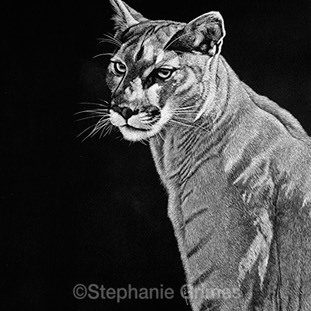 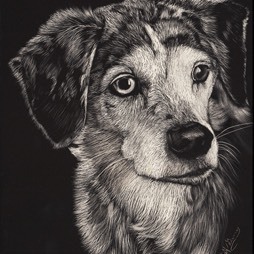 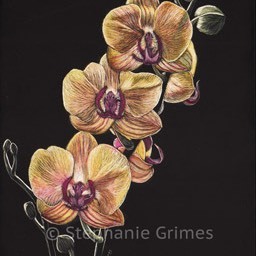 Scratchboard has a surface that allows you to get amazingly fine detailed art. 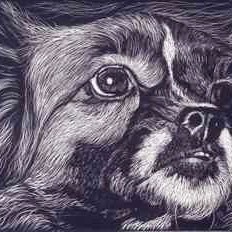 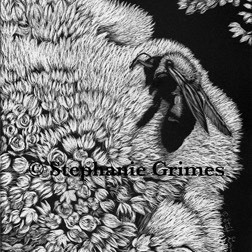 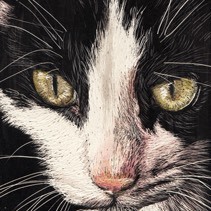 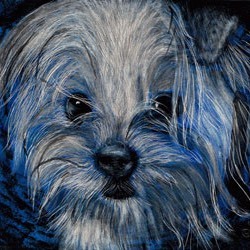 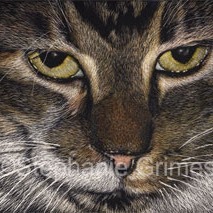 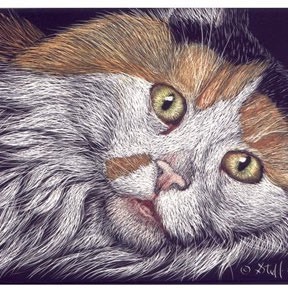 Though any subject can be rendered in scratchboard, it is highly suited for the texture of fur and feathers. 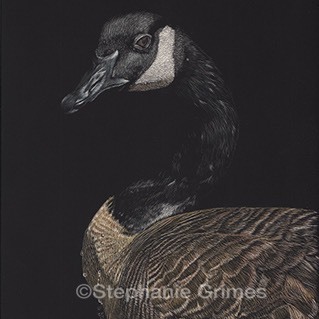 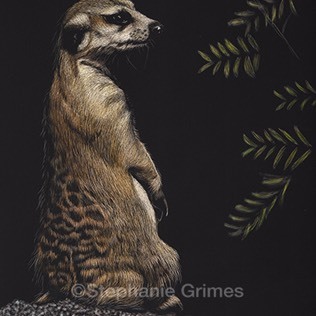 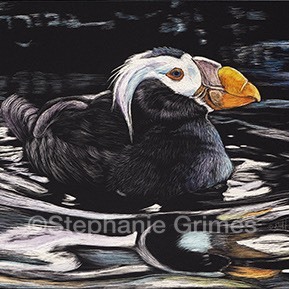 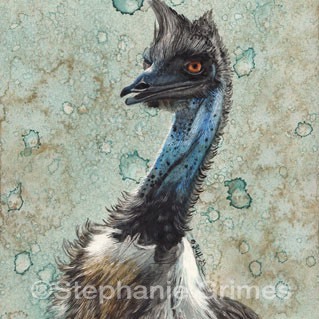 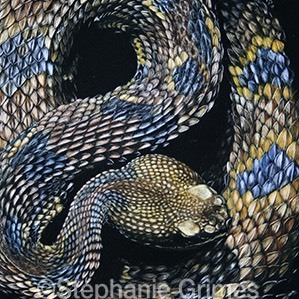 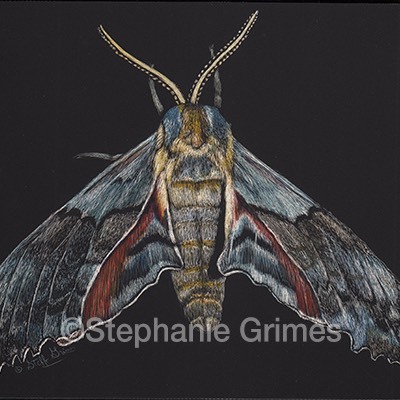 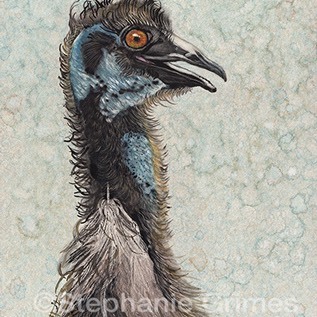 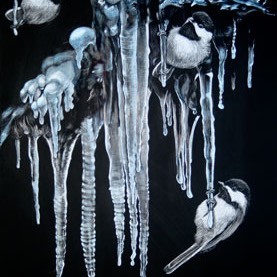 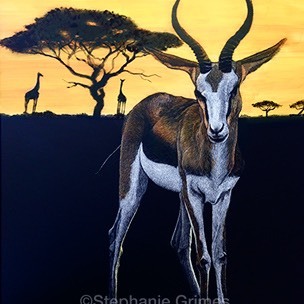 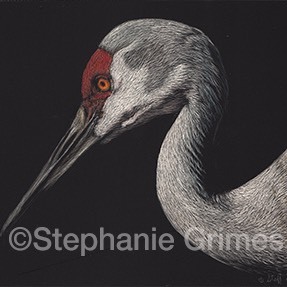 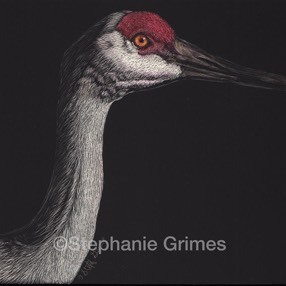 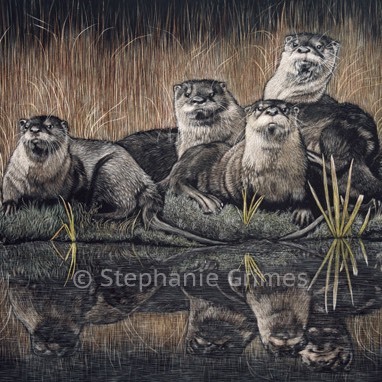 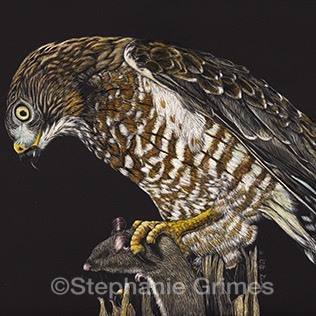 Because of this, it has become the medium of choice for some of the top wildlife artists. 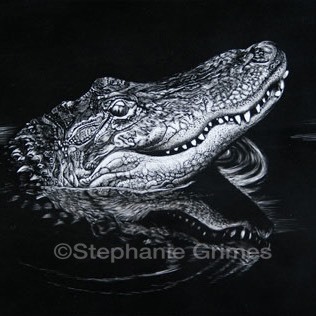 Scratchboard was first invented in the late 1800s as a printmaking medium in the print industry. 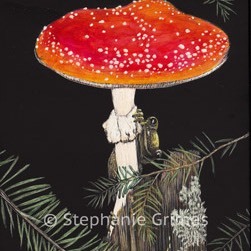 It was used extensively in France and England. 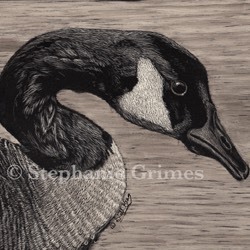 As photography began to replace prints in the publishing industry, by the 1930s, it had become a dying form of art. 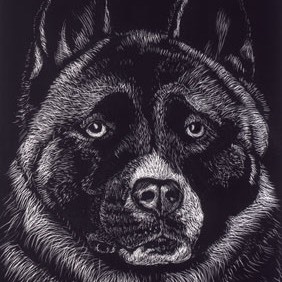 In recent years, scratchboard has been making a come back, not as a print medium, but as a unique art medium. 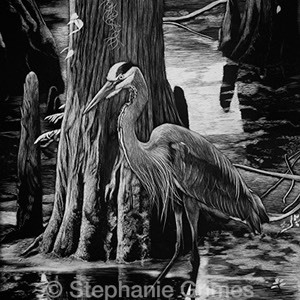 The scratchboard artist uses a sharp instrument to scratch the black ink surface of the board and reveal the white surface below. 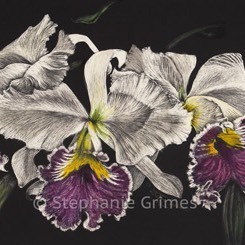 The finished piece of art can be left in black and white or the artist may choose to color it. 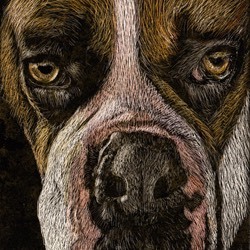 In Pink Dog Creative in the River Arts District. 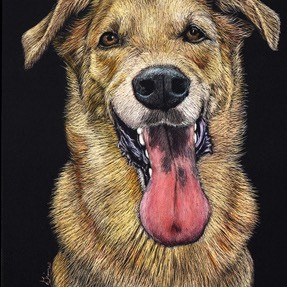 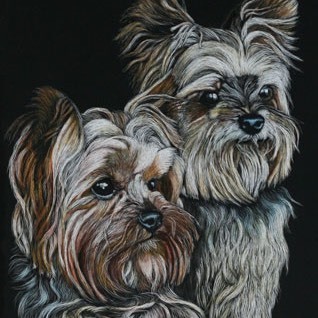 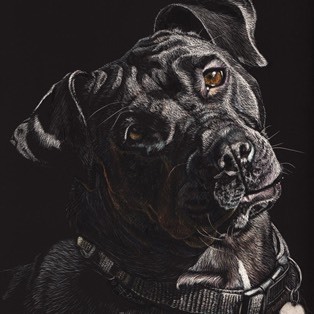 If you are interested in having a scratchboard of your pet(s), I will need several professional quality photos of your pet(s) and a description of their personality. 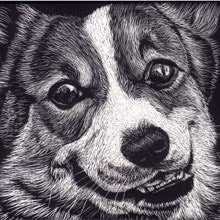 Because of the high detail involved in scratchboard, I can only work from very high quality reference photos. 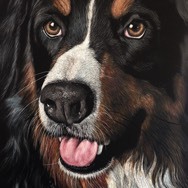 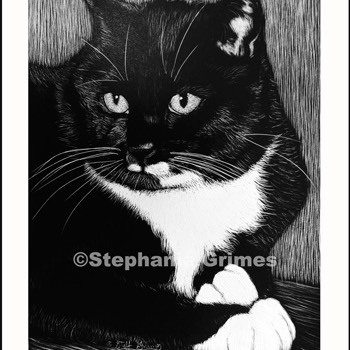 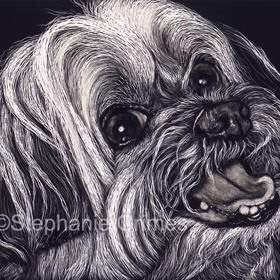 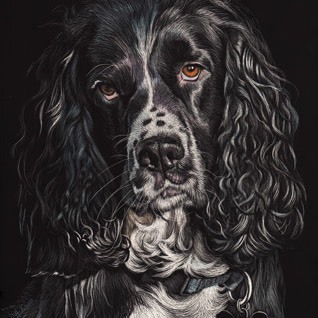 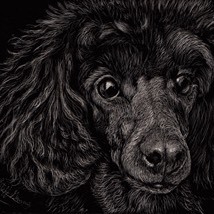 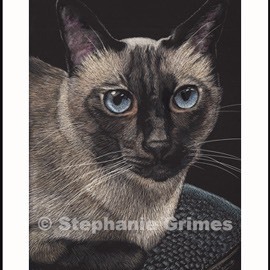 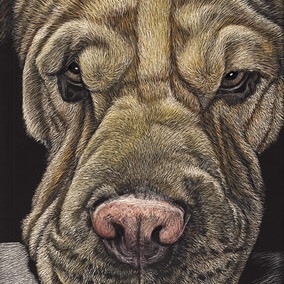 For this reason, I will only do scratchboard commissions if I can take my own photos of your pet or if you can provide me with professional quality photos of your pet. 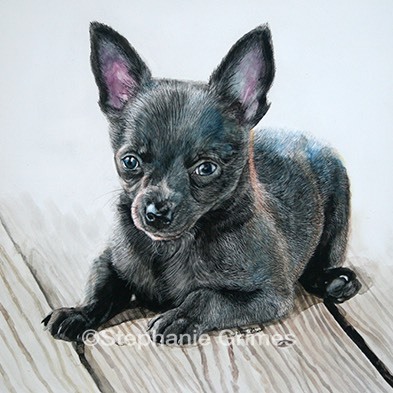 If someone other than yourself took the photos for the references, please also include signed, written permission to use the photos. 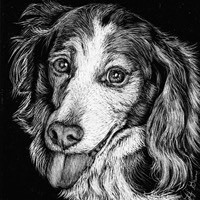 All scratchboards (and clay boards) are done on Ampersand boards, the highest quality scratchboard available. 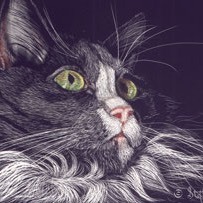 Click on the portrait below for a full view.